Tonight on OXYGEN is an all new episode of The Glee Project and it is a wrap for season 2. On tonight’s show Chris Colfer (Kurt from Glee) guest mentor’s the season finale for “GLEE-ality” week.If you missed last week’s show called “Actability“, there is a full and detailed recap here for you. On last week’s show the remaining contestants acting ability was appraised in a test that included a performance of the Pink song “Perfect.” The final three contenders left in the running are Blake Jenner, Ali Stroker, and Aylin Bayramoglu. 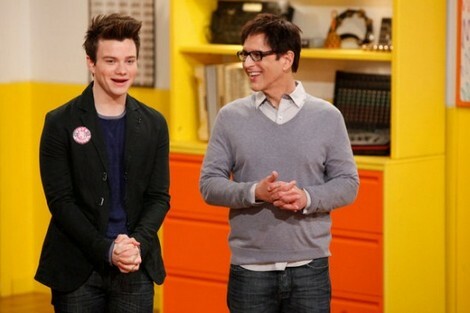 On tonight’s show Chris Colfer (Kurt from Glee) guest mentor’s the season finale for “GLEE-ality” week. An ultimate winner is chosen to receive their dream prize — a 7-episode arc on Glee! Tonight’s episode is going to be an important episode that you won’t want to miss, so be sure to tune in for our live coverage Oxygen’s The Glee Project at 10 PM EST! While you wait for our recap hit the comments and let us know what you thought of The Glee Project season 2! Tonight’s recap: Ali, Aylin and Blake are the finalists’ vying for a seven episode arc on Glee and tonight is it- the finale. “You Can’t Stop the Beat” from Hairspray is the homework assignment this week and all of the contestants return to help out with vocals. Chris Colfer is also on board to mentor the kids. Chris loved Blake’s intensity; he is impressed by how well Aylin can keep her voice and movements balanced. He decides he can’t choose a winner this week so they’ll all share a mentoring session with Chris. The very last group video is set to Tonite Tonite and the concept is prom night. They are also told early on that for their last chance performances this week, the final three can pick their own songs. The kids are struggling with the song itself. Blake sounds rough and Aylin doesn’t know the lyrics. Finally Ali takes her turn in the booth and kills it. She figured since her choreography was off then her vocals better be perfect, so they were. When it comes time to shoot the video everyone pulls together and I don’t think anyone was really weak. There’s no clear cut winner here, it’s totally up for grabs. Blake, Ali and Aylin stand before the judges the day after the video shoot and it’s time for them to tell what song they’ve chosen to sing. 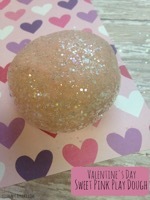 Aylin is going with “Rolling in the Deep”. Ali is going to sing “Popular” from Wicked and Blake chose “I’ll Be” by Edwin McCain. All three contestants head into rehearsals looking a jangled wreck. Ali can’t imagine being sent home after coming this far. Aylin realizes she is gearing up for the performance of her life and Blake wants the judges to see a different side of him. Ali is up first and believes that being in a wheelchair has closed doors for her, but this is one door that she can open herself. Her voice is defiantly made for Broadway which means she’d be a great fit for Glee. Blake follows Ali which is not an easy thing to do. His version of “I’ll Be’ really does sound great and it fits his style quite well, can he sing? Yes but is he a good fit for Glee? I’m not sure. Aylin is up last and I’m thinking it’ll take an Adele tune to wrap things up here. She absolutely killed it. Absolutely amazing, she gave me chills and I think there’s a good chance she’ll be popping up on Glee. The Glee cast members in the audience seem to be leaning towards Ali. She’s fun but they are also mentioning how she’s in a wheelchair which I don’t think is quite fair. It needs to be based on performance, not disability. All three contestants are told how fabulous they are but in the end BLAKE walks away with the 7 episode stint on Glee. I actually didn’t expect that decision but he’ll probably make a good addition to the already stellar cast!